Welcome and thank you for your interest in the Colts. Please explore the site for information on the football program. 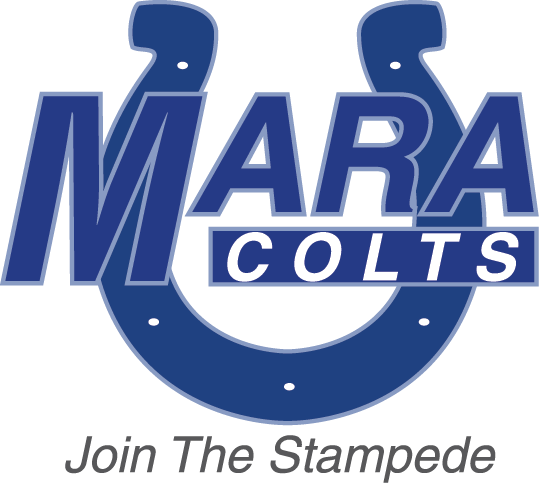 The Matthews Athletic & Recreation Association (MARA) Colts offers five divisions of play for football. The following age and weight matrix is designed to maximize safety while allowing players of similar size and age to compete in tackle football. Please visit the Season Sign Up page for more information. When you are ready to register your child to play, please identify the division in which your child qualifies and click the blue link. You’ll be taken to the registration system where you’ll be a few clicks from joining the Colts’ family. Welcome - Join The Stampede! Sportsmanship of the players, coaches, and parents is mandatory. Please contact Deon Boswell, MARA Football Commissioner, at or Kurt Hoffer, MARA Pop Warner Athletic Director, at . if you have any questions.